We are an international Arma 3 Milsim community based in Europe, but with members from all over the world. Our focus in the game is on overcoming challenges together by coordinated and tactical team play. Fast and easy is not our style. We rely on planning, communication and deployment of adapted military tactics. While we enjoy more realistic aspects of the game, they have to be beneficial to the gameplay experience. With our training and mentoring system we provide an accessible and immersive experience both for experienced and inexperienced members. We continuously support our members as they strive to improve. Every new member will receive extensive mentoring to ensure his smooth transition into our unit. Inhouse created custom Mission Framework to allow for diverse, immersive and challenging missions. Weekly and demand based Training Sessions. Including Rotary Training and Qualification Trainings. Custom AI enhancements to allow for a better coordinated and responsive AI providing a dynamic and challenging battle. Prepared loadouts, streamlined customizations and structured procedure for less time at base and more time in the field. While we do enjoy a realistic simulation, we simplify it where it does not benefit our gameplay. Player experience is more important than real life military procedures. Therefore we do not use a ranking system and unnecessarily strict discipline. We use a modified basic medical system (modified ACE Basic Medical). On the other hand we only allow first person perspective and regulate equipment to facilitate team play. Furthermore we do not have dedicated roles. Instead we trust in our members to take roles they are capable of fulfilling by themselves, aided by our Training System. We are mainly infantry-focused, but not limited to. The unit has multiple resources at its disposal to ensure smooth operations. 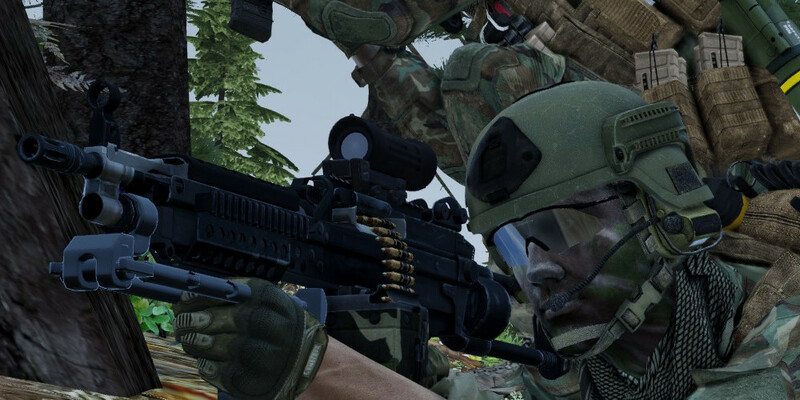 These resources include: a dedicated Arma 3 server as well as a custom made bot for general unit administration. The unit also makes use of a carefully tailored modset to enhance the gameplay experience for the community. These mods (Totaling around 30 – 40GB) include but are not limited to: ACRE2, ACE3, RHS Escalation as well as a number of smaller and custom made mods designed to bring out the best experience. 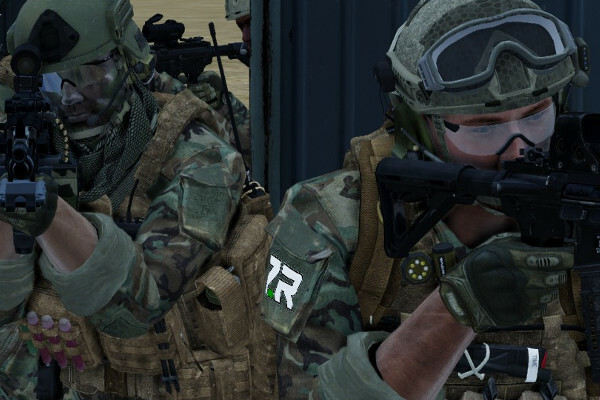 We are using Arma3 Sync and our own repository for easy mod distribution and update management. We are using a Custom Medical System based on ACE3 Basic Medical System with expanded features like poisoning. We are using AI modifications and equipment balancing to further increase the gameplay experience in our operations. We have multiple custom modifications to improve the quality of life by eliminating unnecessary mechanics. We are looking for mature people who share our enthusiasm for overcoming challenges by team play and tactics. That requires a basic willingness to improve. The key is improvement, we do not expect any previous experience, we will gladly support each other on our journey forward. In addition we expect an average attendance of once per week or a leave of absence. Communication and capacity for teamwork are crucial. Every new member will undergo a mentoring program where he will be taught the basic on how we operate. At the end of a trial period, each Recruit has to complete our Infantry Qualification Course to become a full member. We are always looking for friendly, mature and respectful players. If you want to become a part of our community you can leave an application. A Recruiter will process your application and guide you through our process. Feel free to drop by on our Discord or Teamspeak (ts.7th-Ranger.com) if you have any remaining questions. You can also have a look at our Handbook to learn more about our procedures and tactics. We are looking forward to your visit!